This Blog had about 18249 visitors in 2012 and that is almost 6% less than 2011. However, Fram’s Website continues to be popular and even with an increase of 20% compared to last year. This is satisfactory. But what about the physical efforts? 2012 – 2003 = 9. This way, and secretly, I always fooled myself one year by making the calculation this way. Of course this is not true and I now have to confess that since last month ten years (10!) have been passed since I started working on this project. Wow, this is not what I had expected which, at the same, time is also not a surprise. After all, without a positive attitude such a huge DIY project is lost in advance. So I’m happy to say that my motivation is still there, but with the inevitable ups and downs. This has been translated to the average number of hours per week that I’ve spent on the project. Initially I thought that I was able to spent about 20 hours per week but considering my work and social live for me this has been proved infeasible. On the basis of the experience data of Ian Farrier, I have my goal set on 7500 to 8000 construction hours and despite the disappointing progress, it seems that I’m still reasonable on this schedule. Incidentally, this justifies a compliment to the address of Ian Farrier. He is one of the few, if not the only designer who gives realistic construction hours for the build of his ​​designs. More figures are on my website. Click here to see the complete report for this Blog. On one of the boat building forums there was a question about the practical aspects of doing a single side infusion and where the foam hull is the airtight mold. This for sure requires a meticulous job on the foam hull, preventing any piercing by screws, or repairing these very thoroughly, and a lot of attention for the bog in the joins between the foam sheets. It is good practice to use as large as possible foam parts to minimize the amount of seams. To be sure that the joint is airtight, I treat them in four stages. The first one is widening the seam with a Dremel tool and routing a V-shape in it. Then I fill these with a thick mixture of epoxy, aerosill and microballoons, the second layer a little thinner and the final layer again a little thinner. Of course this requires extra time, but doing this well is very important for the integrity of the vacuum bag. Taking shortcuts in this phase will lead to the nightmare of not getting enough vacuum for the infusion. In that stage it is too late for making repairs and the decision has to be made to give up the infusion and to go back to the hand-lay-up job. Of course the single side infusion on a foam hull requires a closed cell and airtight foam. The A quality Corecell foam is a fine example of such a foam. The thickness I use is 15 mm (5/8″) Thinner will be more difficult and thicker must be easier in regards to making an airtight foam mold. Have a look at the figures below to get an idea of the (extra) hours for making the foam hull (mold) and to infuse the internal hull laminate. You can see there is a kind of learning curve. 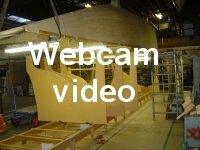 Only the last hull (Main hull port half) is made in the new workshop. The difference in working hours between the cramped workshop in my garage at home and the very comfortable and roomy workshop I have today is not very dramatic. All work has been done on my own. Working with two people is more efficient and I guess will save at least 25%. In 2010, there were 22 new posts, growing the total archive of this blog to 101 posts. There were 38 pictures uploaded, taking up a total of 1mb. That’s about 3 pictures per month. The busiest day of the year was October 21st with 308 views. The most popular post that day was Enlarging Fram’s berth.. 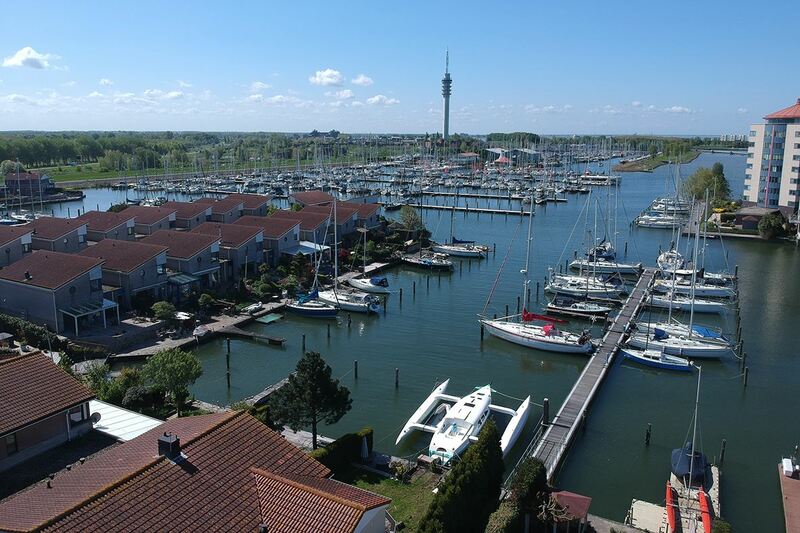 The top referring sites in 2010 were fram.nl, cruisersforum.com, clcboats.com, multihulls4us.com, and scrumbleproject.wordpress.com. Some visitors came searching, mostly for fram blog, vertical foam stripping, framblog, resin infusion, and corecell foam. 2003 37138 ? ? ? ? < 2003 49810 ? ? ? ?